In 2008, Meg and Zenta Tanaka put their roots down in the heart Collingwood with a vision to grow their creative venture under the label ‘CIBI’. 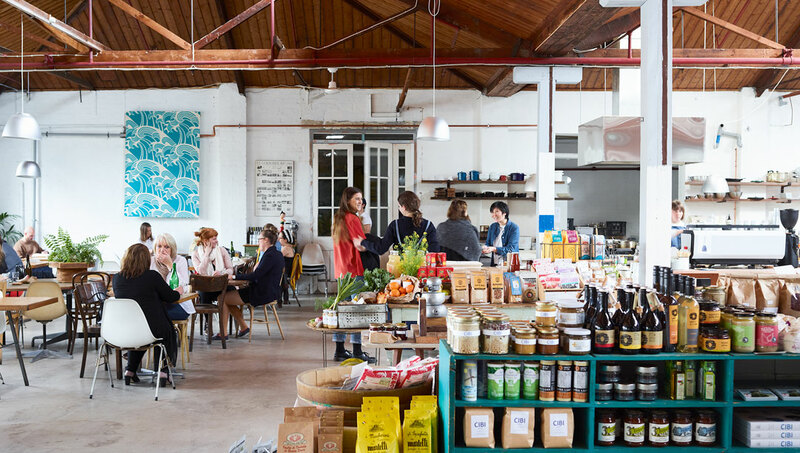 A decade on, with an expansive new space in which to thrive, and a celebrated cookbook to their name, their influence on the local community has been profound, writes Georgia Jordan. 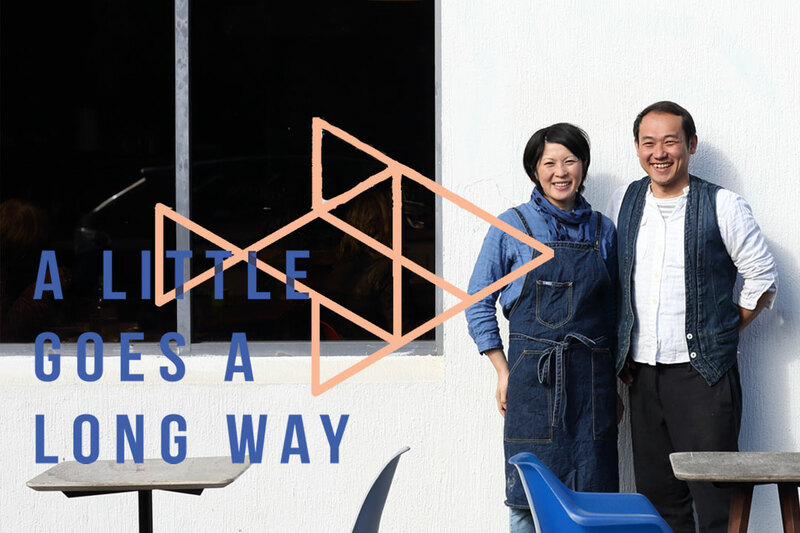 On an unassuming laneway just a short stroll down from Collingwood’s bustling Smith Street, a microcosm of innovative Japanese cuisine and Melbourne culture bubbles away under the shrewd direction of talented husband-and-wife team Meg and Zenta Tanaka. Dubbed CIBI (pronounced ‘chibee’), the café and design space was conceived when, more than ten years ago, the Tanakas settled in the burgeoning creative municipality with “a vision to create a space for people to come together, be nourished, and really just enjoy themselves,” says Meg. Blossoming within the clutch of independent eateries that have emerged in the competitive urban locale, CIBI attracts a loyal patronage for reasons beyond its aromatic house-blended coffee. Underpinned by a powerful ethos of head, hands and heart – which are considered in traditional Japanese philosophy to be essential elements of bringing happiness to daily life and improving our environment – the brand embraces the innocence, curiosity and creativity of childhood in the pursuit of a wholesome lifestyle, and invites us to do the same. By placing emphasis on living slowly, CIBI offers an antidote to the stressors of our busy modern lives. During a visit to the space you are sure to spot Meg and Zenta in action, taking orders from customers and ringing up tables. It’s this genuine, personal touch – from the design and operation of the café right down to routine daily activities such as pouring coffee – that resonates with the cultural milieu and gives CIBI its staying power within the city’s transient café scene. A true lifestyle brand, CIBI is attuned to the desires of the locals, who have long moved on from the instant pleasures of fast food and are now craving a more holistic, soul-nourishing experience. With a rich yet simple philosophy at its heart, CIBI is a lesson in how considered design and brand experience can resonate with a customer on personal level and impact a community at large. When Mina-no-ie, CIBI’s cherished sister space also based in Collingwood, closed its doors in November 2018, the Tanakas were flooded with messages from locals who were saddened to farewell their go-to Peel Street hang out. But ultimately, the decision to consolidate the brands will allow more energy to be directed to the expansion of the CIBI flagship store, just a stone’s throw away, which made the exciting move next door to a capacious 60-year-old warehouse four times larger in October 2018. 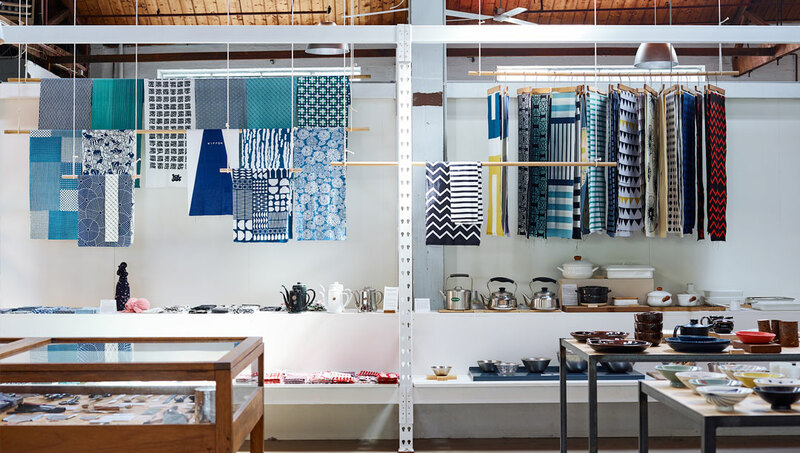 Beautifully conceived and constructed by Zenta, the new 8002 interior – which originally housed a textiles factory – was repurposed into a fresh, quintessentially CIBI space that will present greater opportunities for the Tanakas to enrich the lives of their customers, team, suppliers and neighbourhood. The Tanakas take an experiential approach to running the concept space, ensuring every detail of its design and operation aligns with their philosophy of bringing fun and intrigue to the lives of their customers. Steeped in authenticity, the space is an expression of their personal experiences and beliefs, and their passion for people, place, materials and the places they intersect. On entering the open and airy space, the generous cooking area abuzz with activity beckons with the promise of a nourishing meal. Between the kitchen and the tantalising columns of green that demarcates The Plant Society, a thoughtful arrangement of eclectic table settings showcases with elegant simplicity the attributes of CIBI. 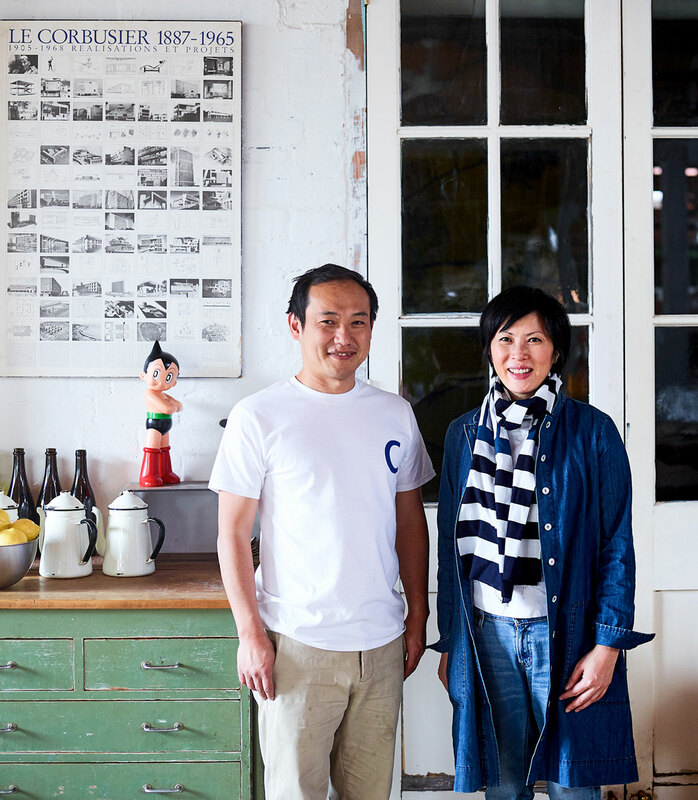 Free of pretension, the simpatico interior distils traditional Japanese concepts of simple living, and fosters a relaxed and convivial atmosphere in which the Melbourne brunch crowd can feel comfortable being their animated selves. It offers an energising and inspiring space to gather with friends and gab over a healthy and satisfying meal inspired by Japanese home cooking, topped off with with one of CIBI’s famous green tea and azuki-bean muffins, the recipe for which we have included on page 174. Adhering to CIBI’s crisp, calming branding, the concept space provides visual relief from the maximalist trend sweeping the city. Here, the Tanakas have deftly synthesised Japanese style and Melbourne mood, merging the best of both worlds to create a space that makes patrons feel both content and refreshed. The aesthetic strikes an impressive balance of casual and orderly – effortless yet considered. Playful arrangements of vintage odds and ends collected by the owners over the years counter balance the contemporary minimalism of the interior, and nod to the heritage of the industrial building. While most CIBI dishes require only minimal Japanese ingredients due to their multicultural influences, Meg is pleased to report that sourcing Japanese food items has become far easier since she and Zenta arrived in the 90s. “There are lots of Asian and even specifically Japanese specialty stores that stock imported products. For fresh produce, the best places to visit are farmers markets or small grocers that sell locally grown and made produce.” You can also find a range of Japanese and western pantry staples at the CIBI concept space, from Victorian seasonal produce and dairy products to sauces, pickles and condiments made by Meg herself. Among the delightful range you will also find special CIBI-made pieces spanning lifestyle, fashion, furniture and architecture, each informed by Zenta’s sharp eye for design. take place at CIBI on a rolling basis, where patrons are encouraged to engage with the holistic lifestyle which underpins the brand. Open Monday to Friday 7–5, and 8–5 on weekends. 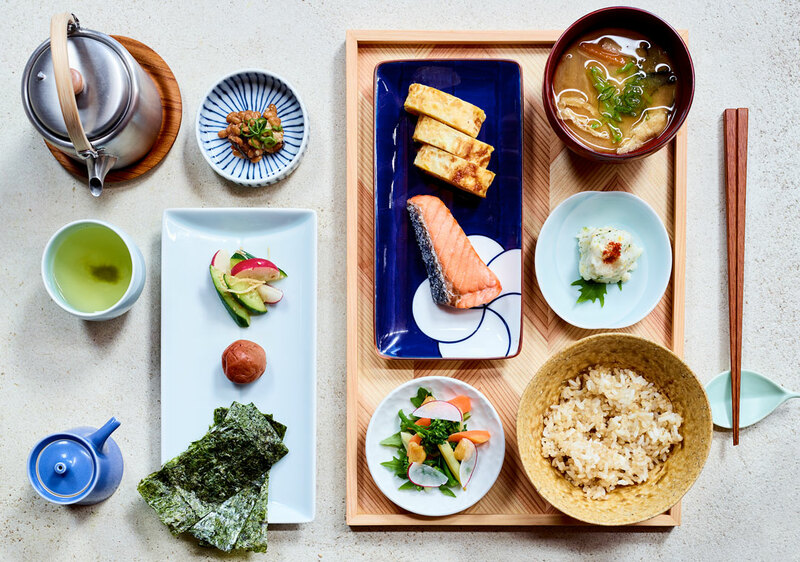 Serving grandma’s traditional Japanese breakfast daily.